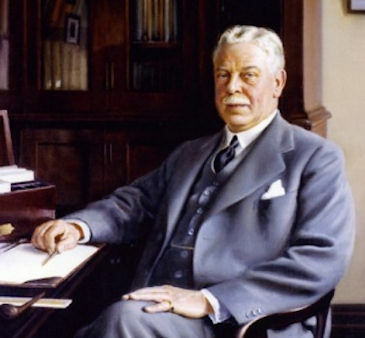 Sir Nigel Gresley is probably the most famous locomotive designer associated with the LNER, and was born in Edinburgh in 1876 and raised in Derbyshire. He arrived with his wife and two small children (Violet and Nigel) in Doncaster in 1905 when he was appointed Superintendent of the Great Northern Railway's (GNR) Carriage and Wagon Department. During his time here in Doncaster they had another son and daughter, Roger and Marjorie. The family lived in three locations in Doncaster. In 1911, Gresley was promoted - becoming the Chief Mechanical Engineer (CME) of the GNR. His first 3 cylinder Pacific (A1) Great Northern was built in 1922. In 1923 Gresley became the LNER's first CME and quickly adopted a Big Engine policy for the LNER's mainline services and continuing with their existing smaller engines for all other services. 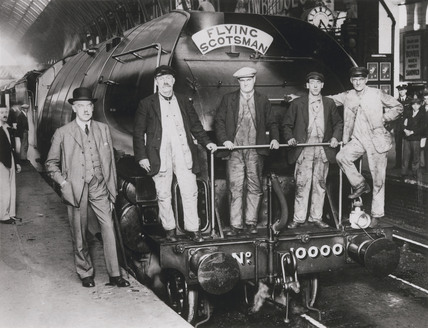 Gresley became one of Britain's most famous locomotive designers with his famous line of Pacifics including the famous A4 streamlined engines such as the record-breaking Mallard rolling out of the Doncaster Works sheds. During the First World War he gave valuable service for the country when Doncaster Works was largely engaged in making munitions for the war effort. He became a Lieutenant Colonel in the Engineer and Railway Staff Corps. In appreciation of this war effort he was awarded the CBE in January 1920. He was then Knighted in 1936, and died in office on 5th April 1941 and was buried in Netherseal Cemetery in Derbyshire. In November 2012 his two grandsons Ben and Tim Godfrey officially unveiled the LNER engine nameplate inspired plaque which honours their grandfather. It stands now in Doncaster's first public square Sir Nigel Gresley Square in Waterdale. The Mayor of Doncaster Peter Davies said: "Sir Nigel Gresley played a vital role in Doncaster�s distinguished railway heritage. It is entirely fitting that he is remembered in this square which will be the focal point for events in the town." Sir Nigel's grandson Tim Godfrey said: "We are delighted that the people of Doncaster have chosen to name this square in honour of our grandfather. We are extremely proud to be here today to unveil this handsome plaque."